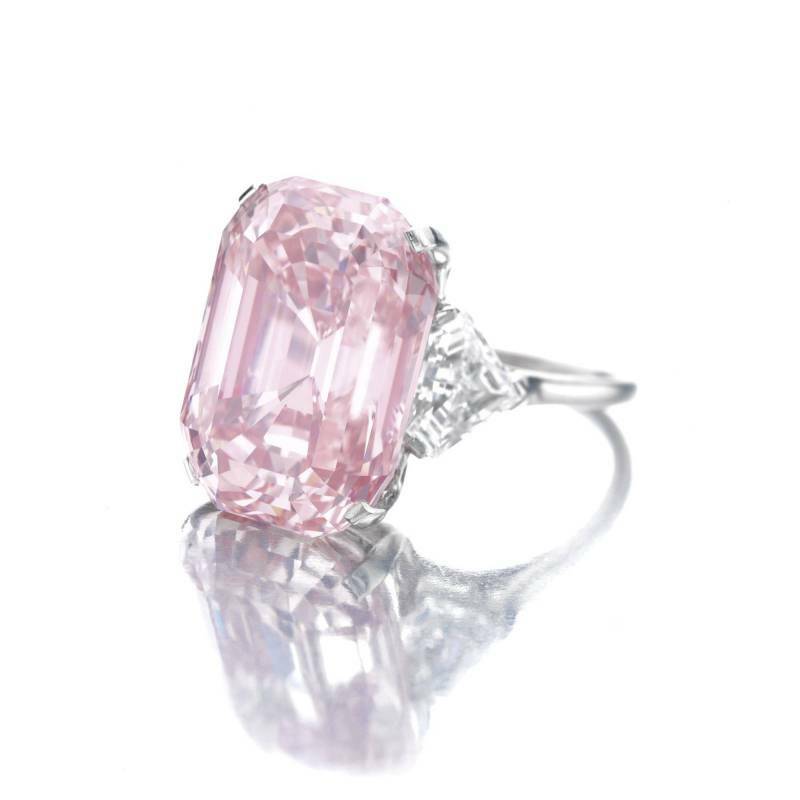 There is something utterly romantic, femine and exuberant about a pink diamond that has us melting in its beauty, and that's not taking into account the rarity of fine pink diamonds that makes them even more magnificent and unique. 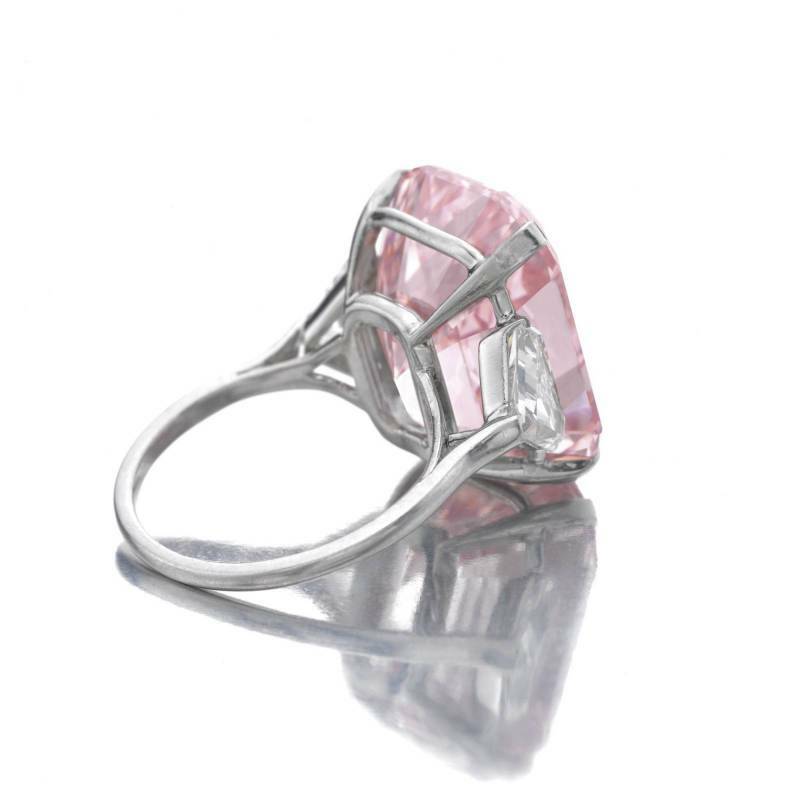 This incredible fancy intense pink rounded-cornered rectangular step-cut diamond weighing 24.78 carats, set between shield-shaped diamond shoulders in platinum. ​According to Sotheby's "What makes this diamond stand out as a truly rare gemstone however is the combination of this exceptional colour and purity with the classic emerald cut - a style of cutting normally associated with white diamonds and immensely sought-after when found in the rare colours such as pink and blue." 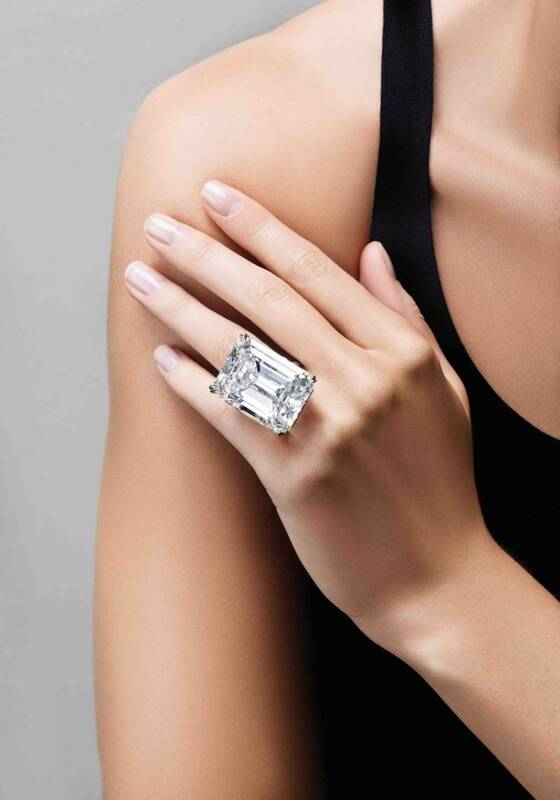 The emerald-cut diamond weighing 100.20 carats, mounted in platinum. Sotheby's called this diamond the "perfect diamond...unlike any before" and hailed it so magnificent that it sits in a class with only 5 other diamonds in the world (sold at auctions). 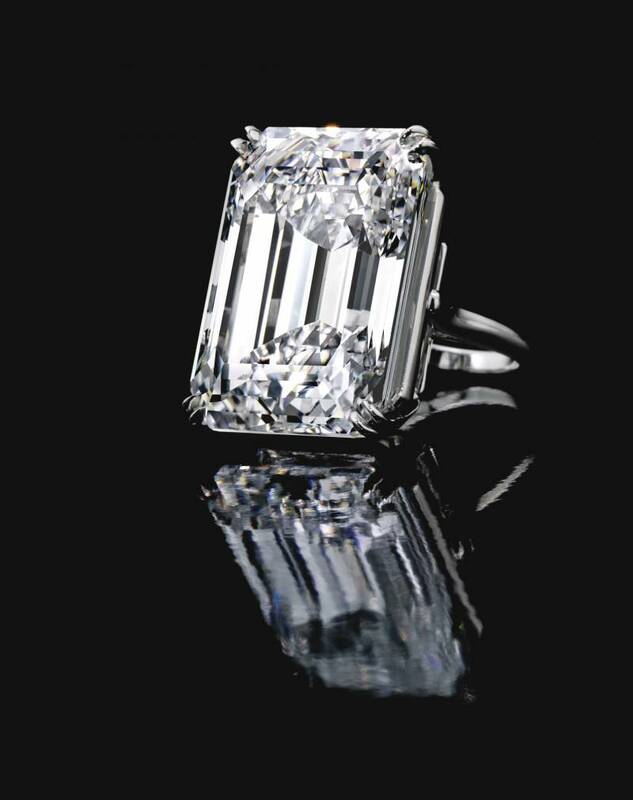 What sets this incredible diamond apart from others is the classic emerald cut, making it the largest diamond with a classic emerald cut ever offered at an auction. 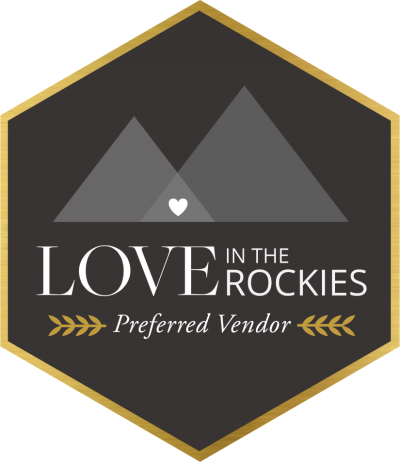 After these two incredible rings we are definitely looking at emerald-cut engagement rings with a new light and inspiration.